science books and activity page in the family of Amazon.com associates. Weve agreed to ship books and provide customer service for orders we receive through special links on his page. Amazon.com associates list selected books in an editorial context that helps you choose the right books. 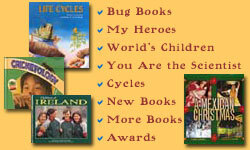 We encourage you to visit this site often to see what books Michael has selected for you.